The field of health informatics is rapidly growing as new technological innovations streamline the acquisition, storage, retrieval, and manipulation of biomedical data. Many new careers rely on a comprehensive technological knowledge of all the aspects of health informatics, and this field represents one of the fastest growing and most lucrative options for those pursuing a healthcare education or changing healthcare careers. What does Health Informatics Entail? In 2004, the Office of the National Coordinator for Health Information Technology (ONCHIT) was created with the goal of encoding all health information across the United States within ten years. This has radically increased the demand for professionals who understand the mechanics and design of health informatics technology. 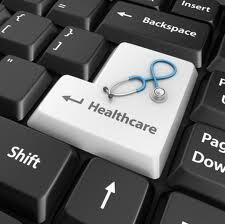 Health informatics generally involves using information technologies to deliver healthcare services. These services can be research oriented, clinically oriented, or nursing oriented. There are a number of subspecialties under the umbrella of health informatics, including clinical and clinical research, community health, and nursing informatics. In each subspecialty, the focus of information specifically addresses the data needs and issues of that field. For instance, nursing informatics gathers and processes information relating to nursing outcomes, standards, and procedures, while clinical research informatics uses the foundations of health informatics to design protocols, manage patient recruitment, and insure regulatory compliance in research studies. Forbes reports that “one of the most robust investment categories for investors in start-up companies is healthcare technology, or healthcare IT.”† Most of this growth in the health informatics industry has been sparked by the Affordable Care Act, which includes a mandate for digitizing health information. Thus, this technology generally conforms to what is used by other kinds of IT managers and systems; however, the focus is on what promotes healthcare service provision. One leading technological innovation at the clinical level is the telehealth platform, including not only teleconferencing between patients and health care providers, but also patient education services and health apps. Health informatics is at the cutting edge of innovation in the health care field. The career path is wide, and most health care institutions are on the lookout for trained professionals who are conversant with the technology and practices of healthcare informatics, and offer salaries commensurate with training and experience.